Pair of brass 4 1/2" bathtub rim risers for exposed tub faucet in chrome finish. Connection 3/4" F / 3/4" M / 1/2 F" / 1/2 M"
Limited lifetime warranty against all manufacturing defects. For more information, please contact Jalo at 1-800-461-4039. Repair and Refresh your Bathtub: Replacement Tub spout with Diverter with Adjustable slide connector. 1 and 3/4 inch telescoping fit for fast installation on 1/2 inch copper stubs . JAG Plumbing Products strives to bring customers the best products in Canada and make them available on the best online shopping platform: Homedepot.ca - Owned and Operated in Ajax, Ontario, Canada, JAG PLUMBING prides itself on offering Home Depot Customers durable, high quality, non OEM replacement plumbing parts. Add a finishing touch to a claw foot tub with this decorative drain. This tub waste and overflow drain is constructed of high quality brass to ensure reliability and durability. Its premier finish resists tarnishing and corrosion. Blending European style and early American influences, this Revival showerarm brings a stylish presence to your bathroom with its contoured shape. Pair it with a variety of Revival and Finial showerheads for a coordinated look. Brass construction ensures durable performance. Pair of 4 1/2 In. 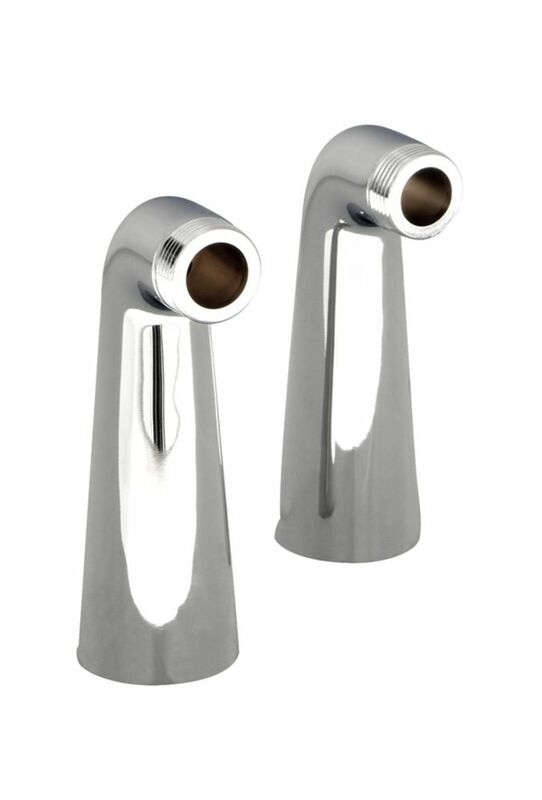 Bathtub Rim Risers - Chrome Pair of brass 4 1/2" bathtub rim risers for exposed tub faucet in chrome finish.